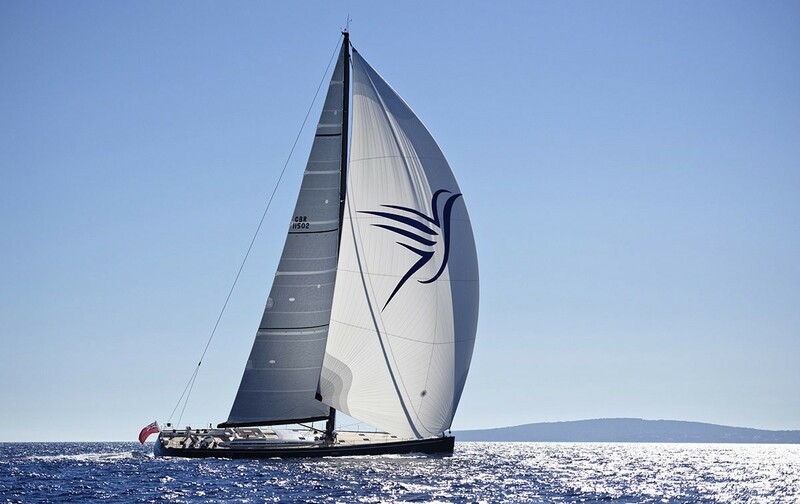 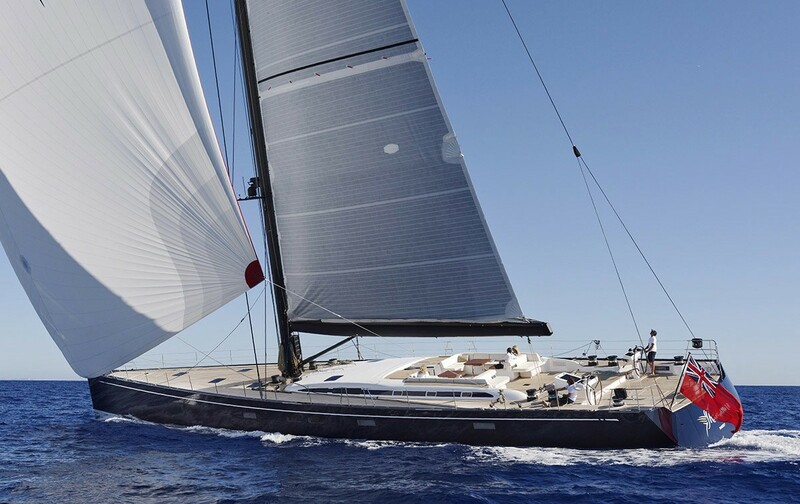 With launch in 2016, Nautor's Swan sailing yacht SWAN 115-004 FD SHAMANNA is a beautiful and sporty vessel. 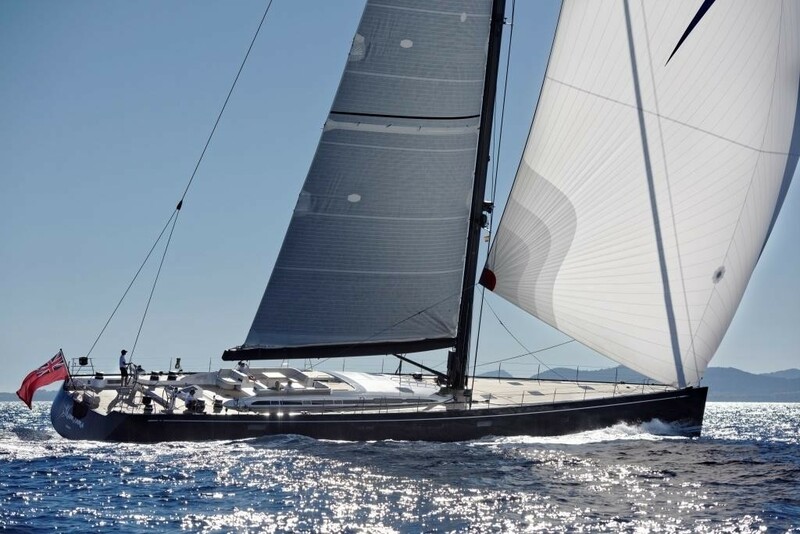 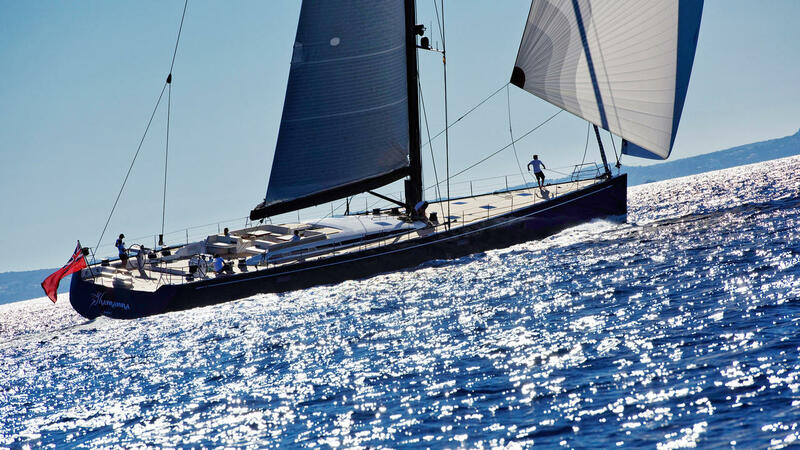 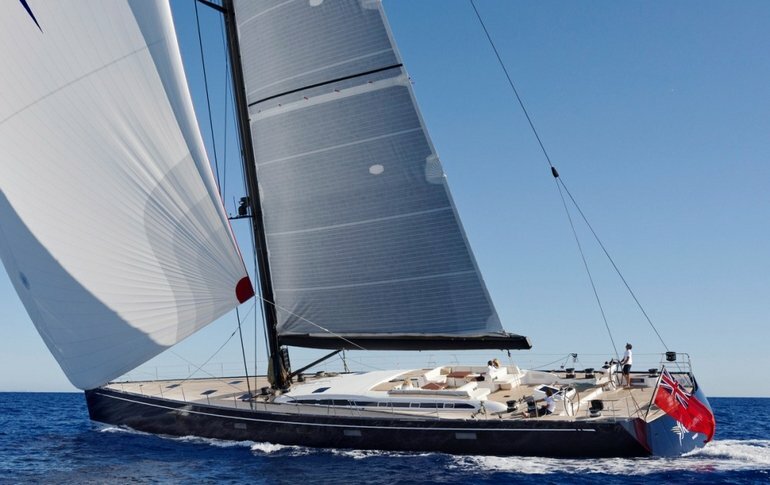 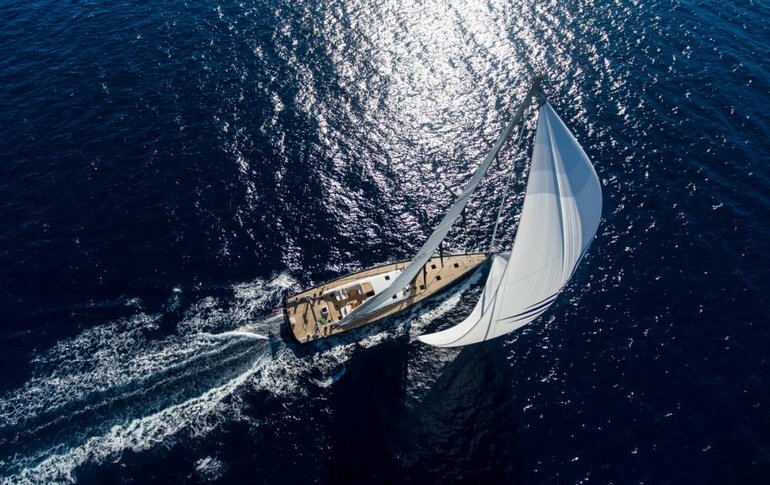 Providing an excellent performance, SHAMANNA superyacht features naval architecture by acclaimed German Frers, in partnership with the yard’s in-house team. 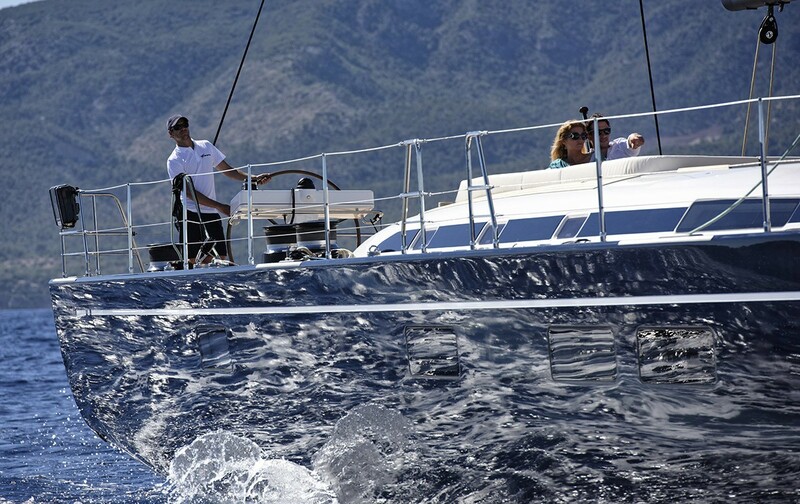 Guest accommodation is for 8 guests in 4 en-suite and generous cabins. 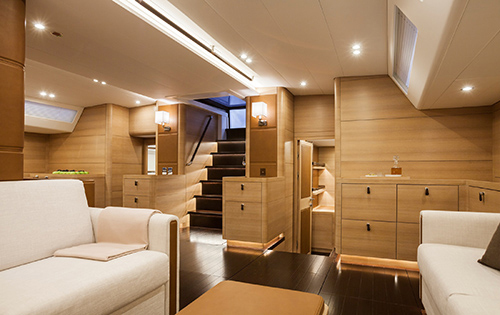 Her interior décor is stunning and elegant, offering exceptional living areas and timeless styling. 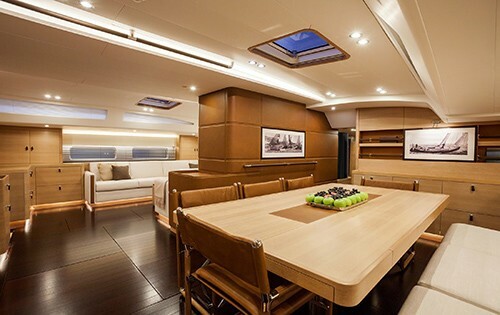 In the main salon, the spacious lounge is laid to port, while to starboard is the formal dining area. 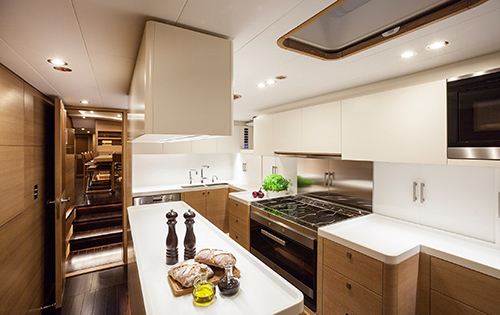 This unique layout provides guests with a semi open plan, along with a distinct separation for more formal entertaining. 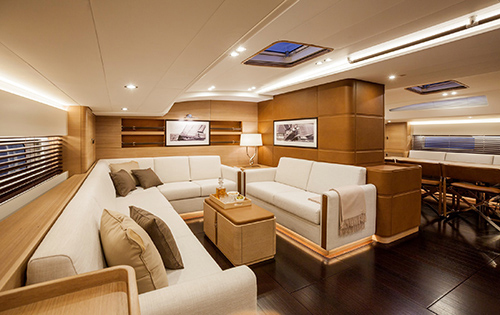 The light teak panels and sumptuous dark wood floors, blend beautifully with the contemporary soft furnishings and stylish finishes. 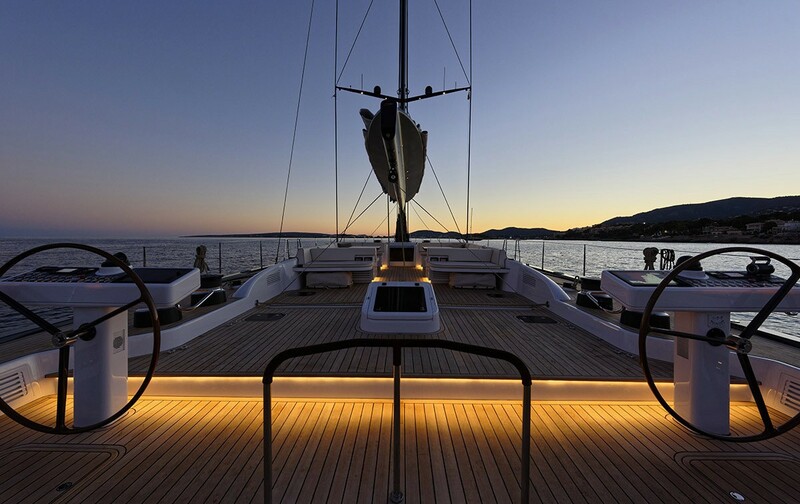 Use of strategically placed lighting both overhead and at floor level create a refined and soothing evening ambiance. 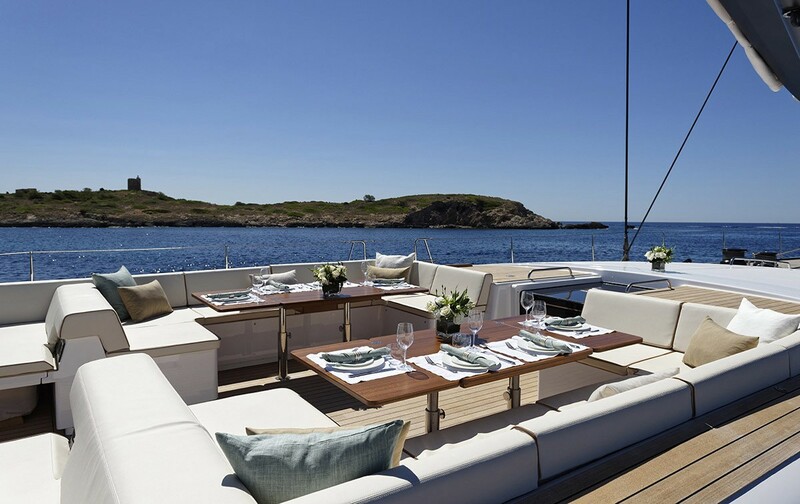 By day ample hatches and ports allow plenty of natural light and optional soothing breezes. 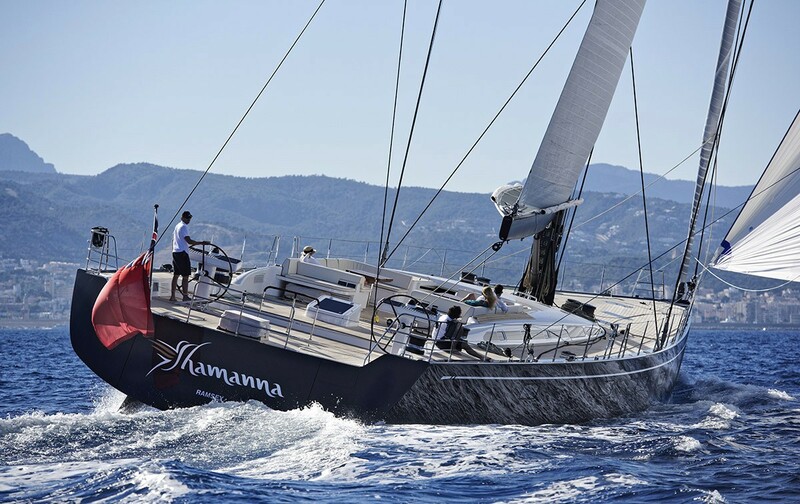 SHAMANNA has been developed for both blue water and long distance cruising. 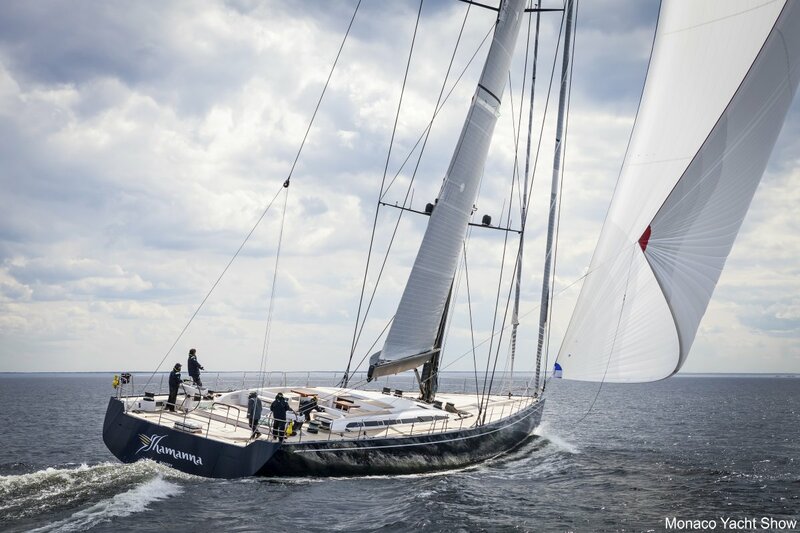 Ideal for competing in the world's most important regattas, she is the flush deck version, which features a split backstay, square top mainsail and high modulus spars. 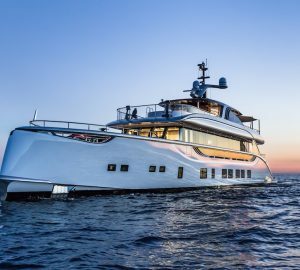 Thanks to her incredibly vast deck space, she is an unrivalled luxury cruising option, in addition to her racing capabilities. 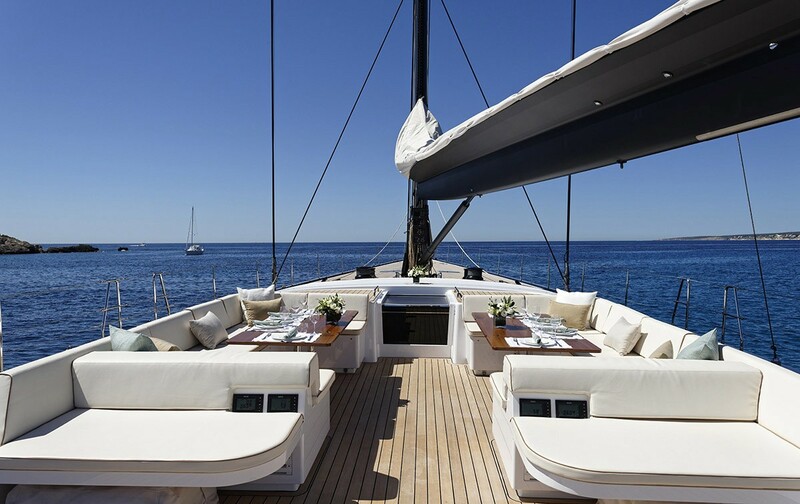 Guests may wish to sit back in the capacious aft cockpit, where 2 tables can seat a good number of guests, ideal for entertaining. 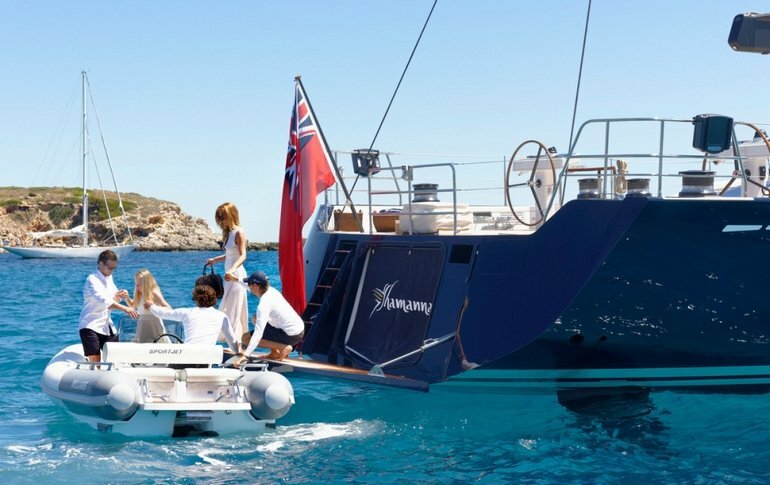 Aft of the guest cockpit are two comfortable sunpads, followed by dual helms and further deck area. 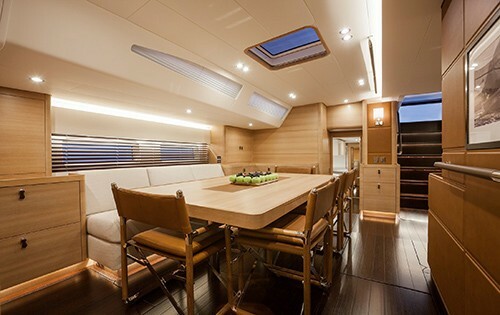 Her foredeck is equally as spacious and relaxing. 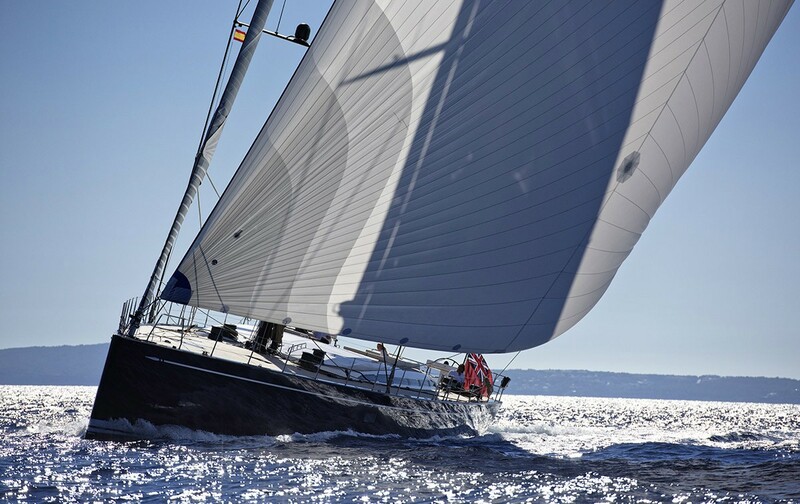 Graceful yet powerful and hull lines, as has the Swan yachts are renowned for, showcase a real beauty whether under sail or at anchor. 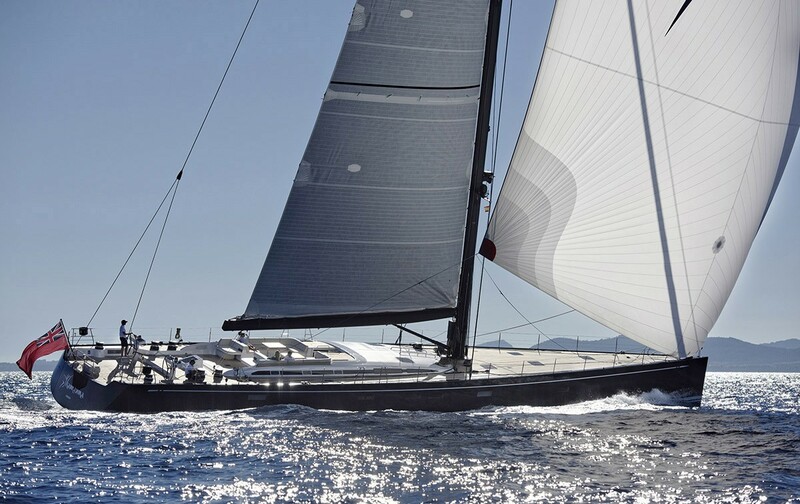 Under power, she cruises at 10 knots, propelled by a single Scania DI13 070M, 450hp engine. 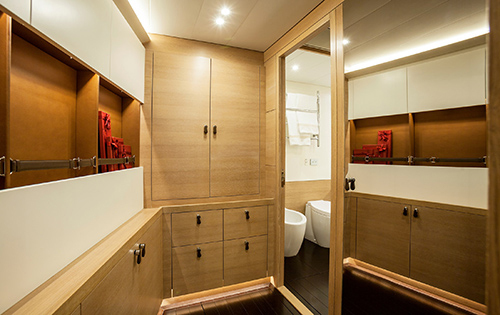 The accommodation is generous in 4 en-suite cabins. 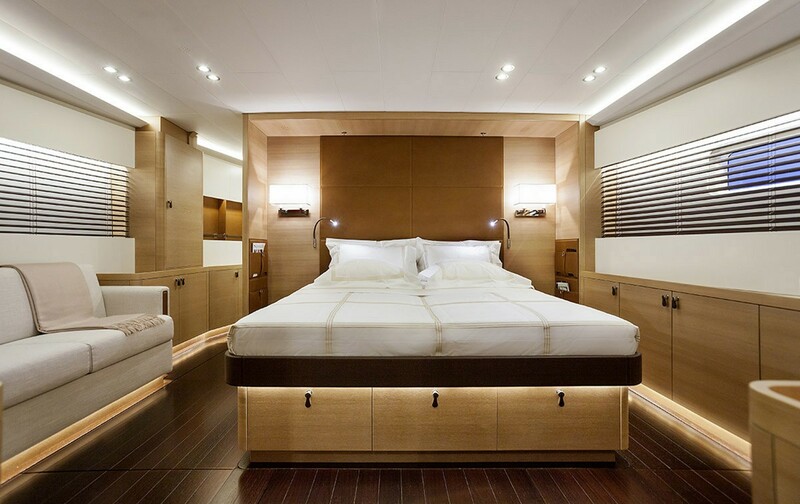 The master suite is forward and full beam of the yacht, with a center lined king size bed, seating and vanity. 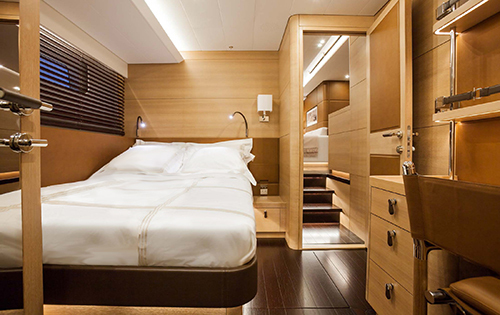 The VIP cabin is aft of the salon to port, with a double bed. 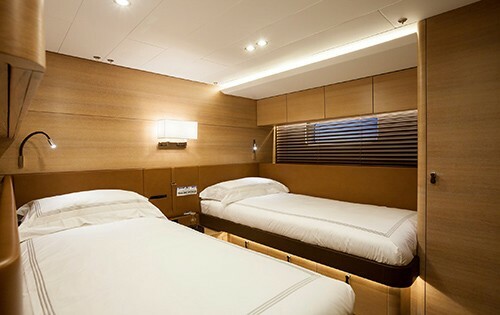 Two guest cabins forward of the salon and aft of the master, offer side by side twin beds. 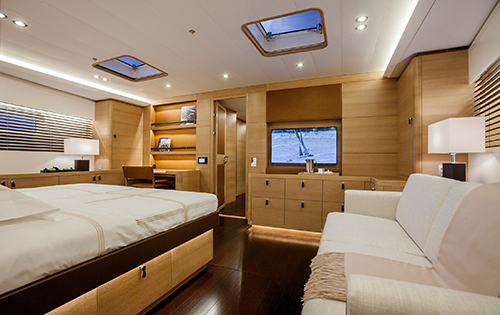 Each cabin is fitted with state of the art visual and audio entertainment for optimal enjoyment.